All Other Volvo's Discuss the many other past Volvo models not listed above within. I got this in a collection of 1966 and 1969 P1800 parts and a member here is looking for the correct intake for his 1966 P1800. The 66 I bought has an aluminum intake with 2 carbs but it is divorced from the CI exhaust manifold. 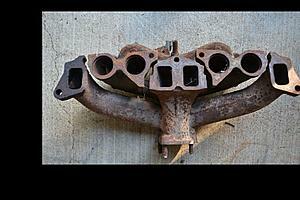 This intake is a one piece cast iron assembly much like 1950-1960's 6 cyl. cars in the US. I don't see any casting or part numbers so I'm asking for help. 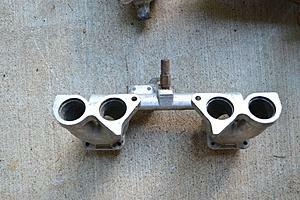 Did 1966 P1800 have a married intake and exhaust or were they separate pieces? I also got this separate aluminum intake. Thanks for any assistance. Bringing this question back up in another way. Did other model of Volvo engines use a dual carb setup as pictured? A friend in Colorado who has a 1962 P1800 said his also has the aluminum intake.